Li Chaohui chats on his cell phone. 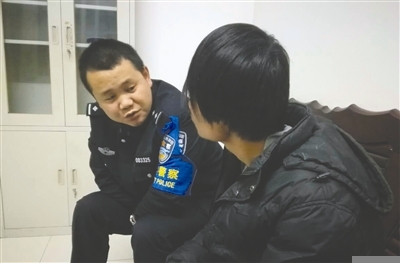 Li Chaohui, a father in Hunan province, saved the life of a young man who wanted to commit suicide, only to learn of his own son’s suicide hours later. Li’s son, Xiaowei, had been missing for several days. His family later learned that he had suicidal thoughts related to his physical appearance and academic performance. “I should have all wonderful things. While destiny is hard to alter, I have destroyed them all. I hate to be ordinary but I can do nothing,” Xiaowei wrote on social media. 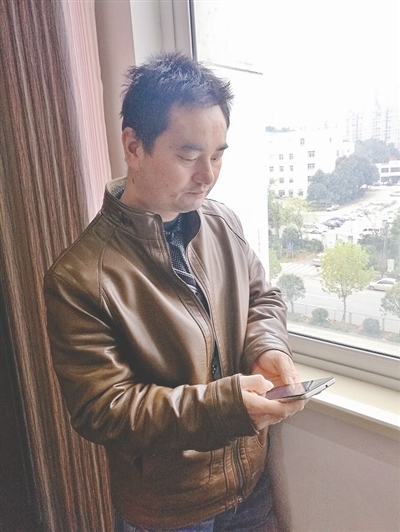 Li, worried about his son’s mental health and disappearance, discovered that Xiaowei was a member of an online chat group in which all the members discussed detailed plans for committing suicide. Li, changing his QQ name to “rather to die,” pretended to be a 21-year-old girl with depression. He joined the conversation and attempted to gain the trust of other participants, hoping to discover the whereabouts of his son. While chatting with the group, Li discovered that another boy named Ashui also planned to commit suicide. Li was ultimately able to save the boy with the help of police, but he failed to find his own son. Sadly, a few hours later, Li was informed by police that Xiaowei had jumped to his death from a building in Changsha nearly a week before. Ashui told police that he has given up the idea of suicide and will try to live the best life he can after hearing of Xiaowei’s death.